Go Crafty! 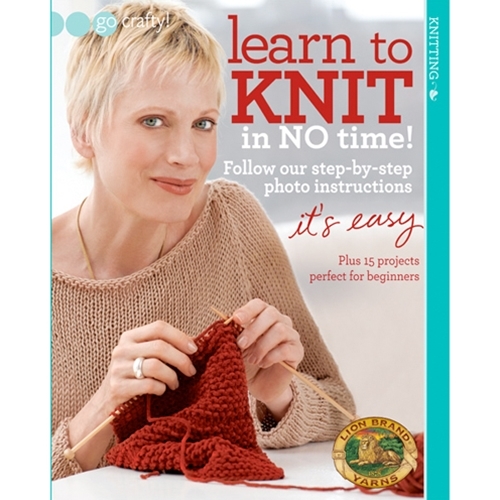 Learn To Knit In No Time! Pattern Booklets » Go Crafty! » Learn To Knit In No Time! This comprehensive best-seller has the clearest step-by-step photos and instructions out there to take you through casting on, the knit and purl stitches, casting off, and a few tips and tricks you'll want in your repertoire. Once you've got the basics mastered, we have some easy projects to make, giving you the confidence you need to tell everyone "I'm a knitter!"